But with this code i don't get any error but still no data gets updated into the database. Any solutions ? I tried a lot of other ways to add data to the data base but seems to be of no use. 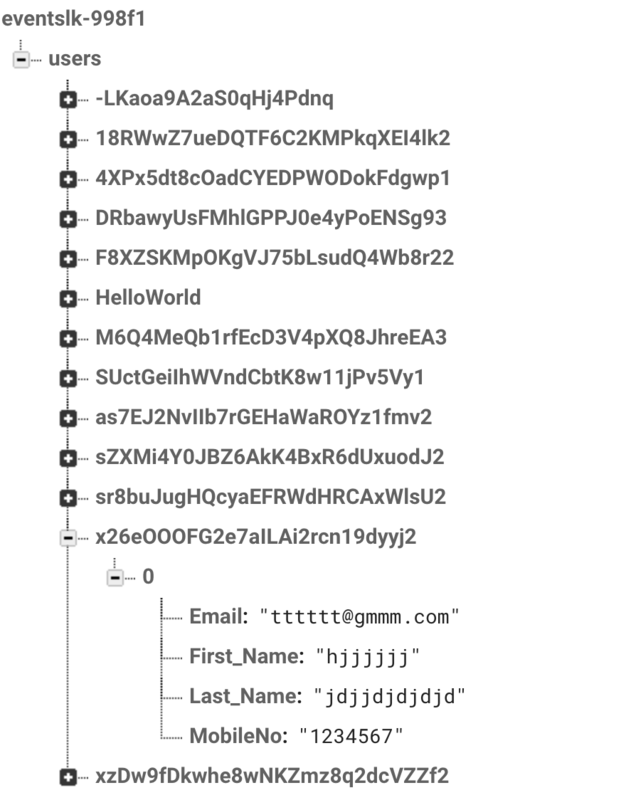 I tried to filter the logs by only firebase database and i get this unusual thing written over there "W/IInputConnectionWrapper: finishComposingText on inactive InputConnection"
Or else please help me with any solution, i have successfully implemented signup and login processes. I need to add data as detail of each user separately. In many online iOS games, you can close the app into the background at any time and the app still stays in the online game (e.g. Bumper.io by Voodoo). However, if you terminate the app, you will leave the server/session. Is there a way I can implement this feature in my app? I need users to store data in the database even when in the app is in the background, but then the data needs to be cleared (requiring a request to my Firebase real-time database) when the app is terminated. However, the applicationWillTerminate(_:) method does not always get called, and when it does, I cannot send a request in time. Is there another method I can use to remove the current data before the app is completely terminated, so the data is removed but not effected when the app is in the background? I have a live voting app, and it shows the number of users in the party. The number of users should stay almost 100% accurate. Not doing so could result in the party saying there are 50 users when in fact there are none with the app still open. I have written a function to fetch the comments from firebase real time database. And I am getting the input suborderComments in this format [["id1", "id2"], ["id3", "id4"], ["id5"]]. So basically I am trying to fetch the comments with respect to all the ids in the suborderComments. So I am using recursion over here to call the asynchronous function to fetch the comments for all id and pushing the comments object in an array. I am also getting the value but it keeps printing the same value it's not exiting the recursion also even after applying the base condition. I am not sure if it's coming because of firebase or what.